In 1988, Future Farmers of America changed its name to the National FFA Organization. While the organization today represents much more than production agriculture, FFA members across the country continue to “believe in the future of agriculture.” As a part of continuing to prepare for future careers, industry changes and emerging technologies, the National FFA Organization has partnered with AgriNovus Indiana and Microsoft to create the FFA Blue 365 initiative. FFA Blue 365 is an online digital platform through FFA.org that connects FFA members to experiential learning in innovative technologies. 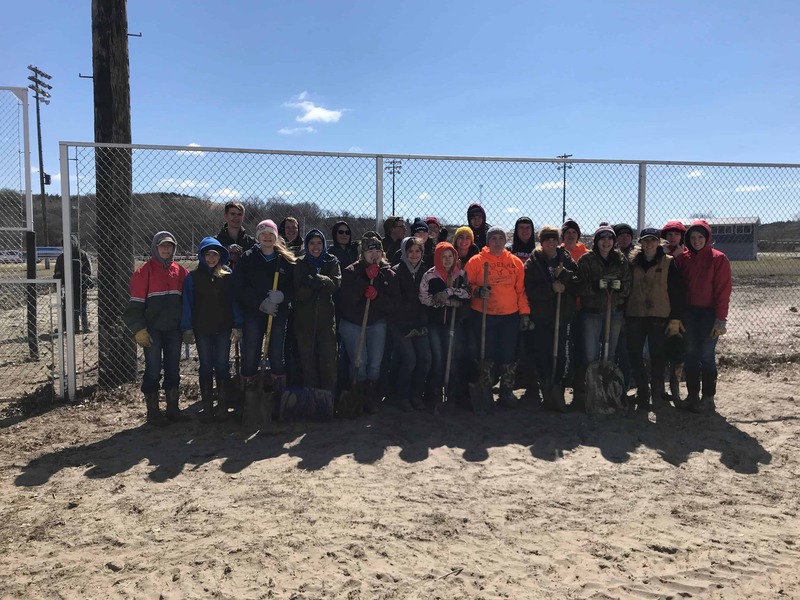 Agricultural education teachers will have 24/7 access to resources and lesson plans that showcase cutting-edge solutions to some of the world’s greatest challenges. Teachers will be able to pull real-world examples from FFA Blue 365 to use in the classroom or in workshops to prepare students for 21st-century careers. The first year of FFA Blue 365 will focus on how technologies provide solutions in respecting plants, feeding the world and improving lives. FFA Blue 365 will be a place to capture those lightbulb moments and to learn more. The online resources bring the convergence of innovative technology, science, research and entrepreneurship to FFA members and school classrooms nationwide. “With FFA’s leadership with students and agriculture, and Microsoft’s experience in technology and student partnerships, we believe this partnership will help young leaders use technology to drive innovation in farms of the future, sustain and renew our planet, and enrich their communities,” says Mary Snapp, corporate vice president and lead for Microsoft Philanthropies. Digitalization has effectively transformed agriculture. Tractors today are equipped with direct connections to satellites in space. Unmanned aerial vehicles scout fields and report crop damage. Robots have been developed to harvest labor–intensive fruits and vegetables. And it is all happening at lightning speed. FFA Blue 365 launched during the 91st National FFA Convention through the FFA Blue Room experience. 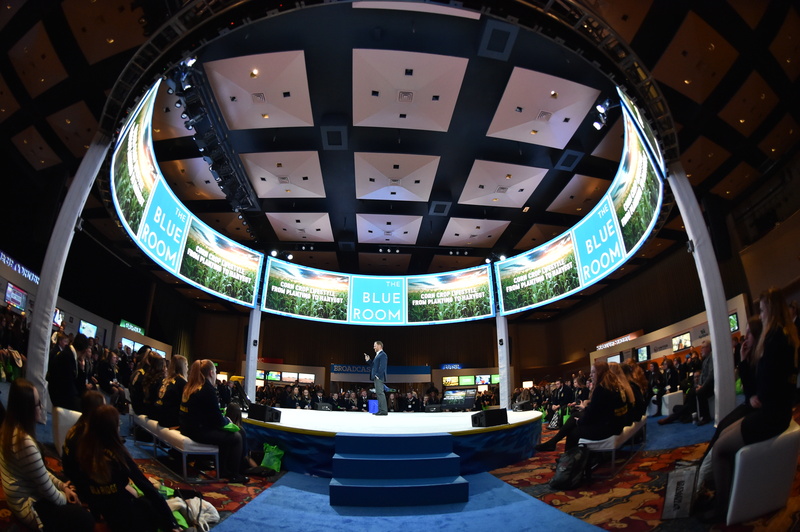 More than 3,600 FFA members took part in the Blue Room in order to learn more about the obstacles facing the world in regard to agriculture and experience how technologies and innovations are tools that help solve these challenges. Visit the FFA Blue 365 website to learn more. To help launch FFA Blue 365 and highlight the innovations and technologies that are transforming agriculture, we are excited to announce the FFA Blue 365 Challenge! In partnership with Microsoft, the National FFA Organization will award 50 FFA chapters with two Microsoft FarmBeats Student Kits designed to help students learn about precision agriculture and Internet of Things (IoT) technologies. Each kit includes preconfigured Microsoft Azure cloud services and a Raspberry Pi with soil moisture, light, ambient temperature, and humidity sensors to collect data, which can help students understand how to help improve productivity, increase yield, and save resources. Microsoft will provide additional resources to showcase how FFA advisors can put these kits to use in the classroom. Submit your application before the Jan. 2 deadline!